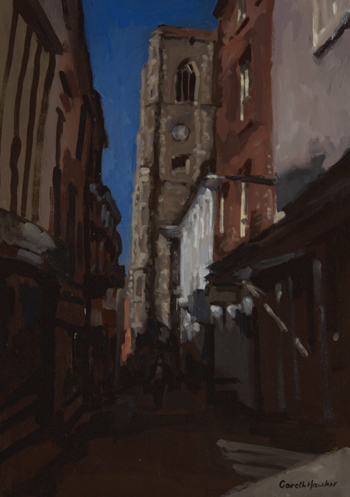 Gareth Hawker, who was born in 1950, studied Art at the Byam Shaw School (1968-71), and at the Royal Academy Schools (1971-74). 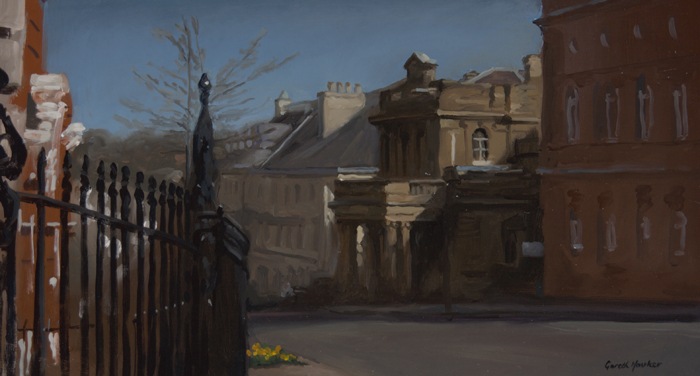 He gained the Robin Guthrie Memorial Award for portrait drawing, the David Murray Landscape Studentship, and the highest award for drawing (a silver medal). 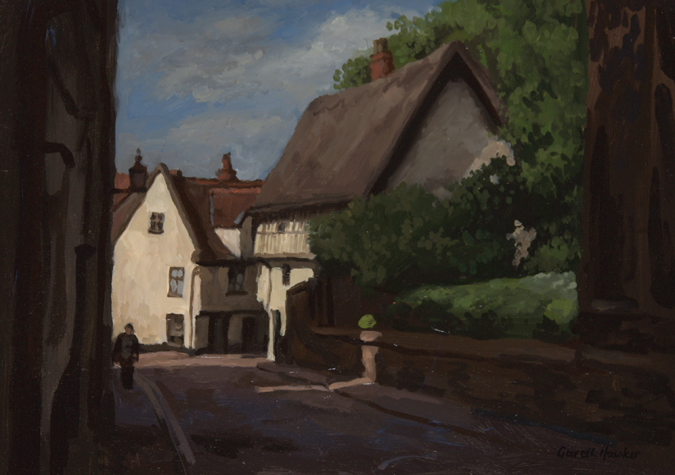 He moved to Norwich in 1974 where he was given the Greenshields Award. 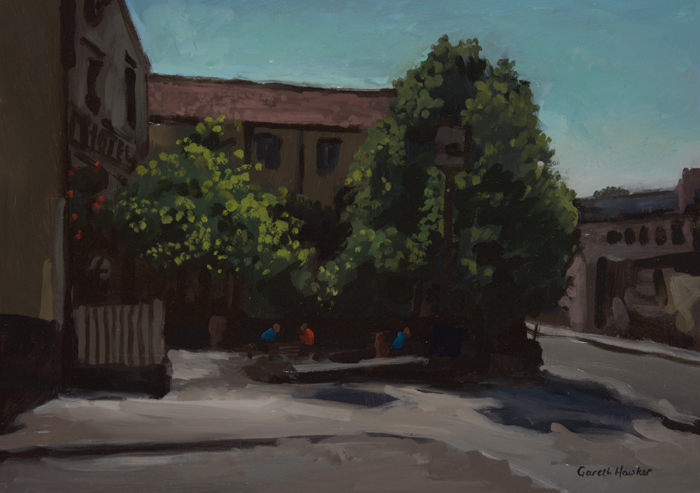 This enabled him to paint full-time for two years. 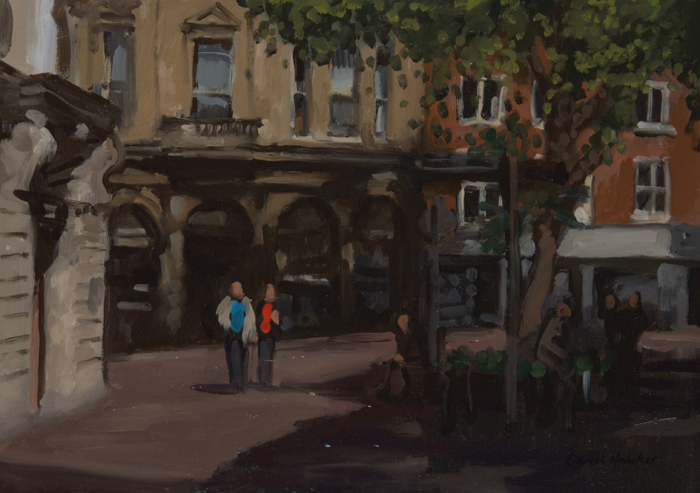 Initially known as a painter of still-life, Gareth Hawker gradually achieved his ambition to make his living entirely by painting portraits. 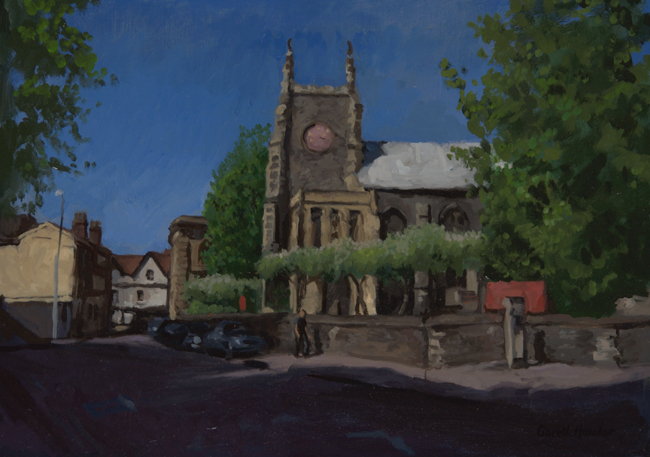 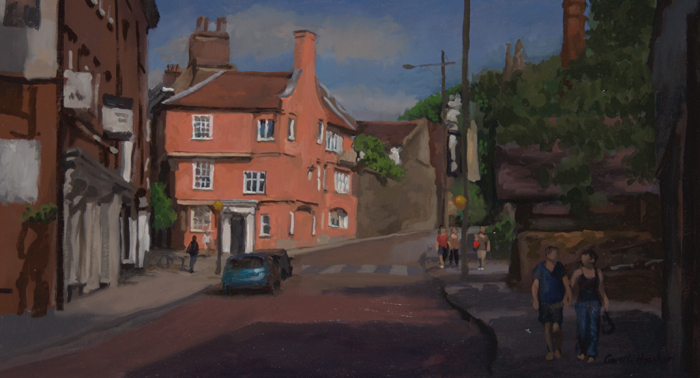 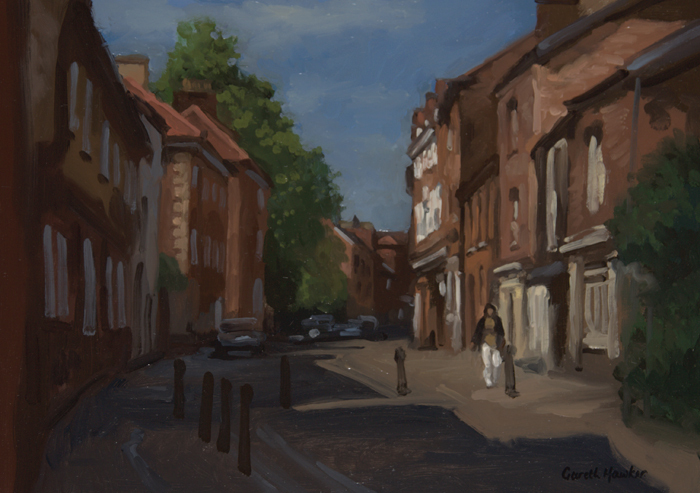 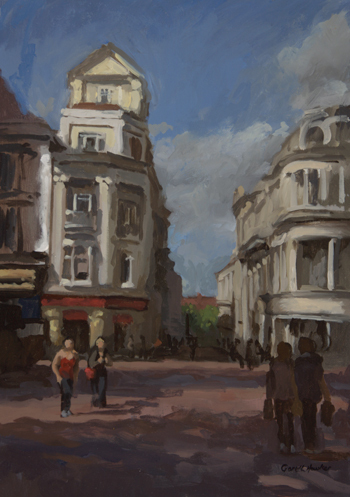 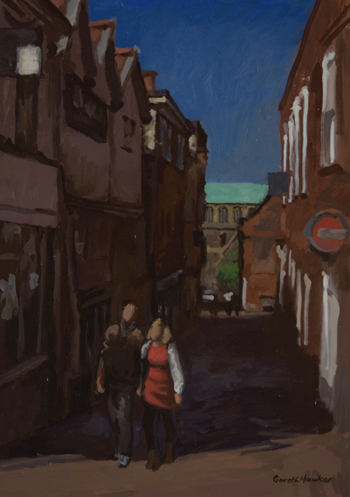 These Paintings by Gareth Hawker are a series of Norwich scenes.